Additive manufacturing [AM] or 3D printing is incredibly important to industries, since; it possesses a great deal of potential to transform the ways and practices of designs being carried out currently. Associated with AM, there are several barriers in technology and business areas, both. Engineers and researchers are trying to focus on these barriers and bring about some revolutionary changes in the field. Most manufacturing processes are subtractive in nature. The common practice is to take a big piece and remove the unnecessary material in order to get the desired shape of the object. Additive manufacturing, however; is all about adding layer by layer to the object and getting a final product. In spite of several inherent challenges seen in additive manufacturing, the industry has developed frenzy for the technology. The sole reason to this is that AM can facilitate the production of things closer to the place where it will be used, rather than going for a centralized manufacturing unit. This not only cuts the cost of transportation of heavy equipment but also mitigates the risk of critical products being damaged during the transit. This not only helps in cutting costs but also for managing the supply chains. But then again, the root of AM lies in generating 3D CAD model and is the first step in getting closer in availing AM benefits. Since the product is manufactured by pin pointing laser beam and sintering the powder between the well-defined points by computer generated models, all the importance burns down to 3D CAD models. Along with exact software needs, the need for standardized file formats for file exchange over different platforms, maintaining a proper channel of communication between design and manufacturing departments is also very crucial. 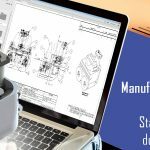 A 3D CAD model serves as the basis for developing product manufacturing information [PMI] and also in managing product lifecycle till the time a product is finally manufactured and out for use. 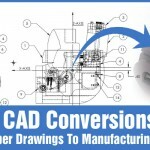 Currently, with several types of CAD software such as SolidWorks available in the market, it becomes crucial for designers to maintain a stringent protocol and standards viz., STEP for file transfer between two platforms. 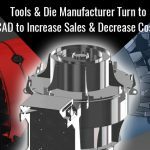 New CAD tools available in the market are capable of optimizing the material needs, designs and weight of the product. In fact, these new tools are needed compulsorily so that the optimization can be performed well with the AM processes next in queue. In addition to the permission of manufacturing complex shapes, it also allows creation of objects that are light in weight and cellular but absorbs the energy from impact, which is usually lacking in products with lower weight. By the time one (our reader) has reached this point, he/she must have developed an insight about some inherent benefits of additive manufacturing. 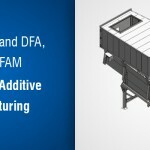 Like already stated in while putting across the functional principle, AM is a process made by compacting and sintering layer by layer to the critical points decided during CAD designing, it becomes possible to manufacture complex shapes, uncommon geometry and contours with Additive Manufacturing. AM essentially is developing the product by stacking a two-dimensional objects layer over layer and allows the product to enhance systematically; just like an organic shape gradually grows. With engineering materials the challenge lies in dealing with metal while developing complex shapes. When such a method is adopted for manufacturing, the basis that is formed from CAD models, need to be accurately designed. An expertise in design support helps in generating a comprehensive 3D CAD model helps in availing the benefits of additive manufacturing. 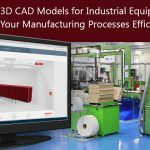 Although AM brings along some challenges in technical, business model and policies, and the way all these three are interconnected; the benefits it has to offer holds more credentials and it starts with 3D CAD models of product.